Wondering if we remodel near you? This map below shows where we do most of our work, but we always encourage others to contact us and see if we work near you! 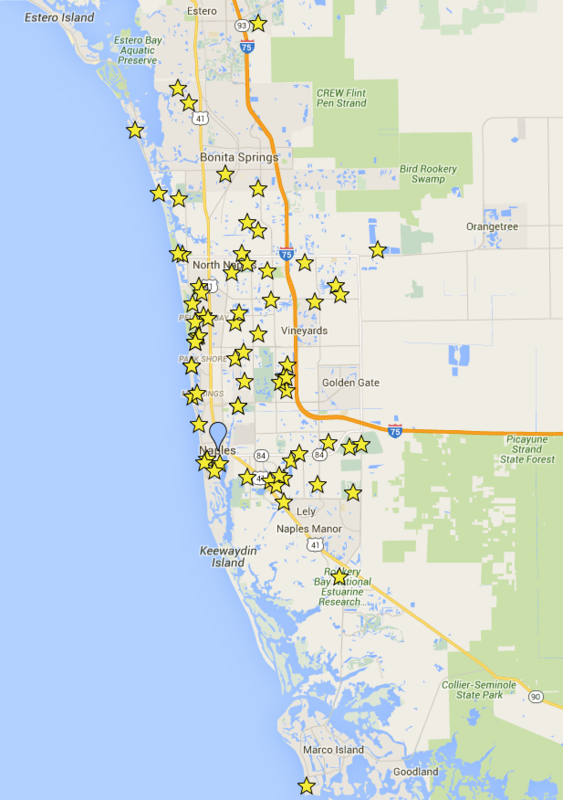 Naples: The majority of the homes, condos, and apartments we remodel tend to surround Naples. While this is the epicenter of our remodeling projects, we do remodel in a few other areas near Naples. Estero: North of Bonita Springs, Estero is a beautiful region of coastline. We are proud to remodel the homes, condos, and apartments of this area! Bonita Springs: Known for their beautiful scenery and incredible restaurants and shopping, we also remodel throughout the Bonita Springs area.